You must make it a priority to learn all the spondylolisthesis facts before making up your mind about the best treatment for you. There are many misconceptions about listhesis and these misunderstood concepts can cause big problems for patients who are ill informed when it comes to their prognosis. We always write a similar introductory section when it comes to discussing facts on all the websites of The Cure Back Pain Network. This is because facts are only valid today, as tomorrow, different truths might become apparent. Medical science is a revisionist industry, with the facts of yesterday fast becoming the laughable myths of today. What facts will tomorrow bring and will these change your perception of spondylolisthesis right now? This vital essay examines why it is so crucial to learn all the facts about various listhesis conditions and therapy options before taking any action towards treatment. We will also discuss how the facts of spondylolisthesis have changed over the many years the condition has been actively diagnosed and the direction that future facts are headed. Listhesis was originally thought to be a universally pathological condition, much like all spinal abnormalities when doctors first learned how to recognize and diagnose them. This is because when medical imaging was a new technology, the only people who received it were those with painful complaints. 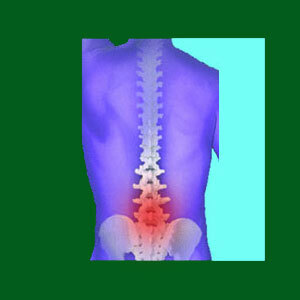 A large majority of the population demonstrates back pain and up to 11% also demonstrate spondylolisthesis, making the condition one of the more commonly seen structural abnormalities. Since doctors were evaluating pain and saw many cases of listhesis, they naturally (and mistakenly, it turns out) assumed that the vertebral atypicality was the source of the pain. When spinal fusion surgery became generally available in the early 1900s, many listhesis patients underwent versions of the procedure to restrict movement in their spines and halt progression of the vertebral slippage. Results were mixed, but not overly promising. Many patients developed symptoms elsewhere and few were completely cured. Of course, many endured complications of these early fusion techniques, which should be no surprise given that fusion is still the most complication-ridden surgical practice in the dorsalgia community today, over a hundred years later! With time and improved research, doctors began to discover that listhesis came in several varieties and several degrees of severity. They began to understand the condition better and comprehend which cases would likely progress and which would not. They also began to realize that many cases were innocent and did not require any treatment at all. This led the way for the current modern view on spondylolisthesis detailed below. Currently, grade 1 and 2 listhesis classifications are virtually always considered to be asymptomatic, non-pathological and basically innocuous by objective physicians. There is little evidence demonstrating any connection between back pain and the existence of low grade listhesis abnormalities anywhere in the spine. This is not to say that listhesis patients with grade 1 and 2 conditions can not experience back pain, for they surely can. 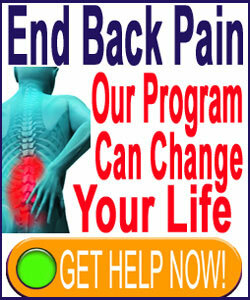 However, there is simply no evidence that the pain is inherently linked to the vertebral migration. Remember, there are dozens of possible sources of idiopathic dorsalgia, regardless of whether a particular person demonstrates listhesis or not. Doctors view grade 3 and 4 listhesis as potentially pathological and certainly having the potential to be painful due to several mechanisms of action, including neurological compression, mechanism dysfunction and even supportive soft tissue strain. However, these same doctors stop short of saying that these higher grade listhesis conditions are inherently problematic or symptomatic, since many patients demonstrate very severe listhesis, yet have no pain or history of pain, despite having the spinal abnormality for many years. The body is wonderfully compensatory in its ability to mitigate the potential consequences of spinal structural abnormality. Therefore, all high grade listhesis cases are evaluated individually and under the case-specific circumstances to which they exist. The future progression of spondylolisthesis diagnosis and treatment tends to favor a less-is-more approach. Many doctors tend to side with the idea that most cases of listhesis, regardless of severity, can be managed nonsurgically. Even doctors who support spinal fusion as a viable treatment option for many patients must admit the many downsides of the technique. Therefore, we predict fewer surgeries used in the future to stabilize listhesis abnormalities. We would hope that on the conservative treatment front, drugs become far less often utilized, as they are incredibly dangerous and damaging to overall wellness. We would like to see more exercise, coaching and complementary care practices replace drug therapies, much to the benefit of individual patients’ health and society as a whole. Whether this will actually occur is unpredictable, but we see only trace evidence of changes so far. One trend that has definitely grown within medicine is the increased recognition of mindbody factors in the causation and resolution of chronic pain. Propagating these truths remains one of our primary missions, since the evidence confirming the role of the mind in the causation, duration, location and severity of chronic pain is undeniable.